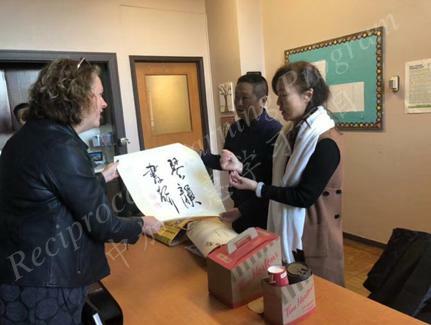 Letters written by students from Prince Edward Public School Windsor, Canada being sent to awaiting students from Zeng Jia Yan Primary School Chongqing, China. 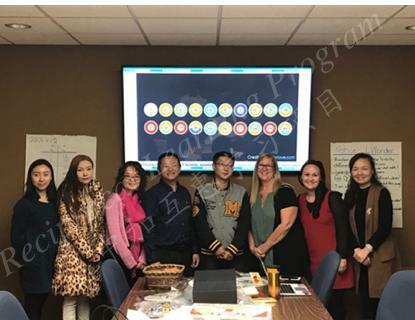 Reciprocal Learning Sister- School Project Canadian team members are invited to visit their sister schools in Chongqing, which is a part of the 3rd PG Project International Conference. Zeng Jia Yan welcomes the Canadian visitors to Chongqing, China with a warm reception. 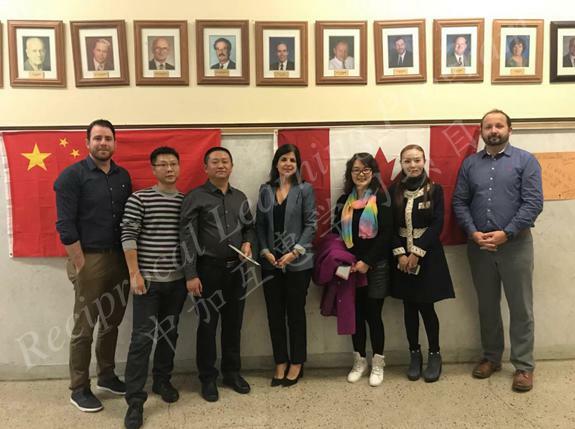 Canadian and Chinese principal visit members include: Superintendent of GECDSB Dr. Clara Howitt, Principal of Prince Edward Public School Ms. Teresa Iandolo & Principal of Kingsville Public School Mr. James Cowper, Principal of Zeng Jia Yan Ms. Hongjie Deng, Southwest University Dean of Education Yibing Liu, Dr. Shijing Xu SSHRC Project Director, Ms. Na Wu guide teacher of 2015 SWU cohort, and students from both the University of Windsor and Southwest University. 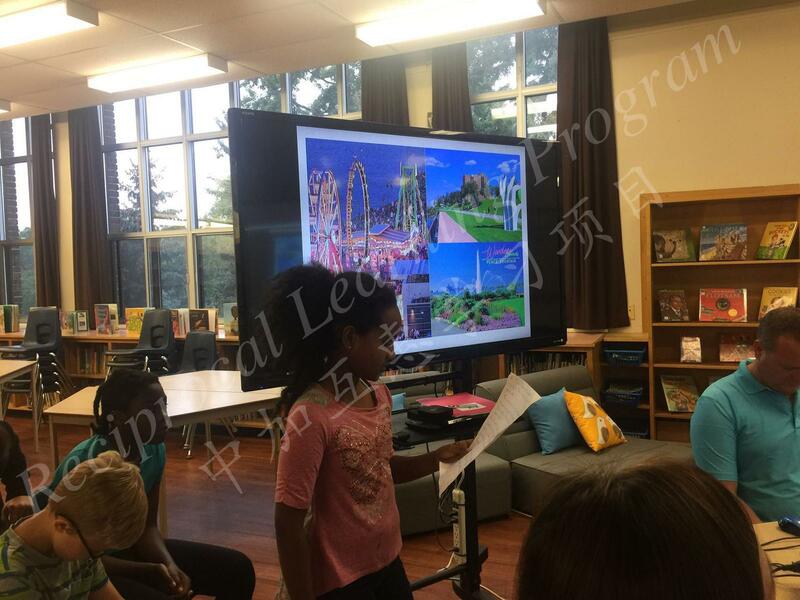 Reciprocal Learning Sister- School Project Canadian team members are invited to visit their sister schools in Chongqing, which is a part of the 3rd PG Project International Conference. 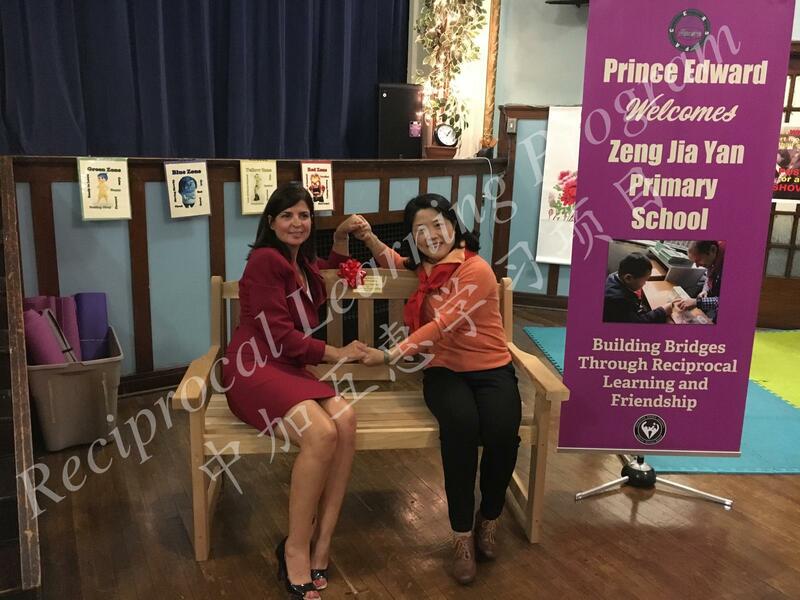 The principal visit Zeng Jia Yan Primary School Chongqing, China continues with a school tour. 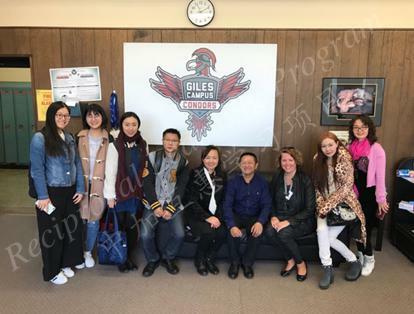 Tour members include: Superintendent of GECDSB Dr. Clara Howitt, Principal of Prince Edward Public School Ms. Teresa Iandolo & Principal of Kingsville Public School Mr. James Cowper, Principal of Zeng Jia Yan Ms. Hongjie Deng, Southwest University Dean of Education Yibing Liu, Dr. Shijing Xu SSHRC Project Director, Ms. Na Wu guide teacher of 2015 SWU cohort, school teachers & students, and students from both the University of Windsor and Southwest University. 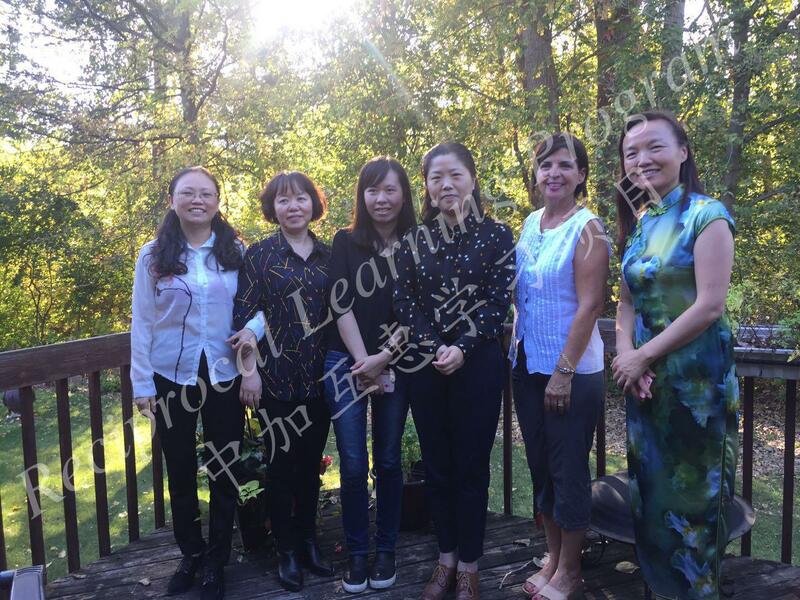 On October 10th, 2017, under the invitation of Dr. Shijing Xu, four delegates from Chongqing Zeng Jia Yan Primary School — Ms. Hongjie Deng (Principal), Ms. Chaorong Yu, Ms. Huaiying Zha and Ms. Lu Wang — had a three-day visit to Windsor, during which they stayed at Principal Ms. Teresa Iandolo’s house. 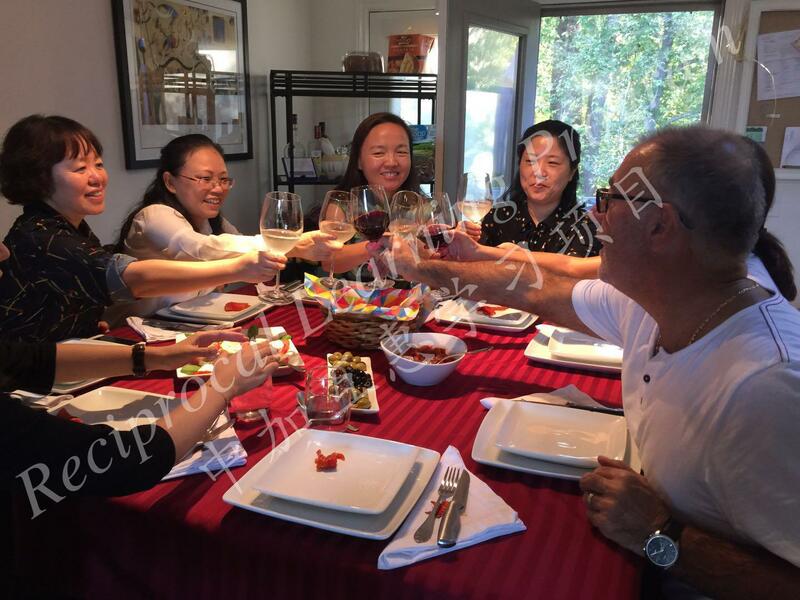 The Chinese delegation had a wonderful Thanksgiving dinner at Ms. Iandolo’s. 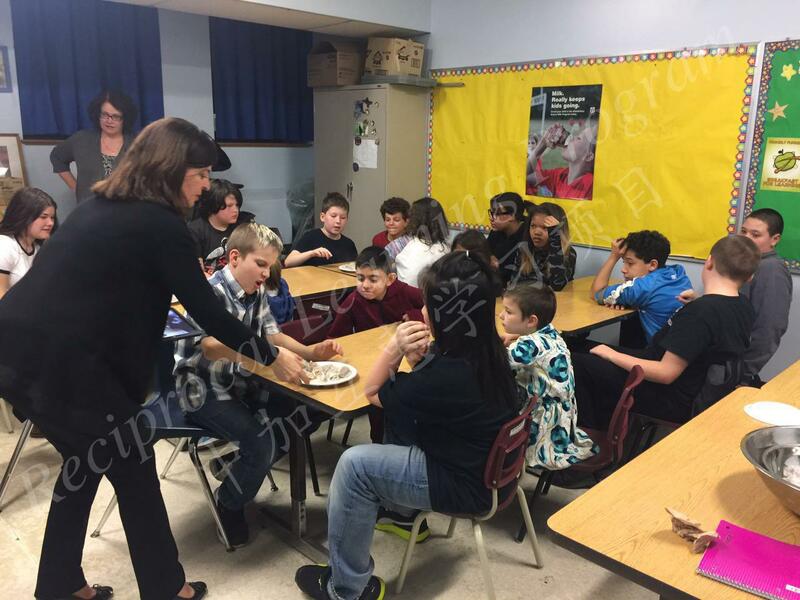 They also shared Chinese tea with Ms. Iandolo. 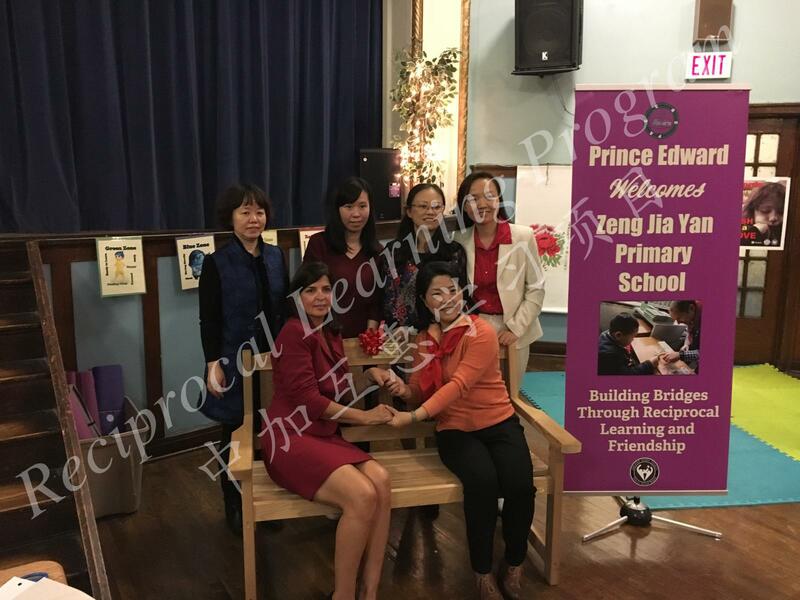 During their three-day visit in Windsor, the Zeng Jia Yan delegation visited three schools which included their sister school Prince Edward Public School. 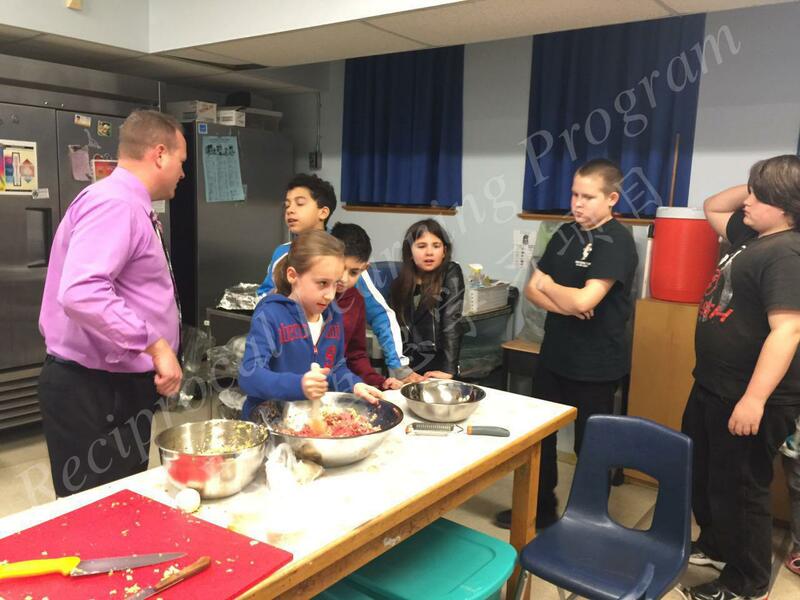 They also visited Talbot Trail Public School and Kingsville Public School under the invitation of Principal Chris Mills and Principal James Cowper. 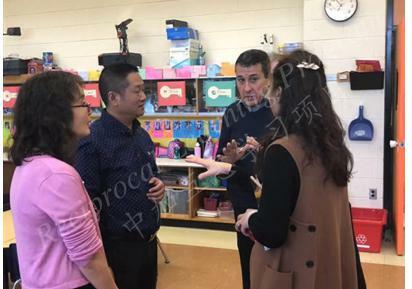 During their school visit, the Zeng Jia Yan delegation had an opportunity to observe various classes and have discussions with different teachers. 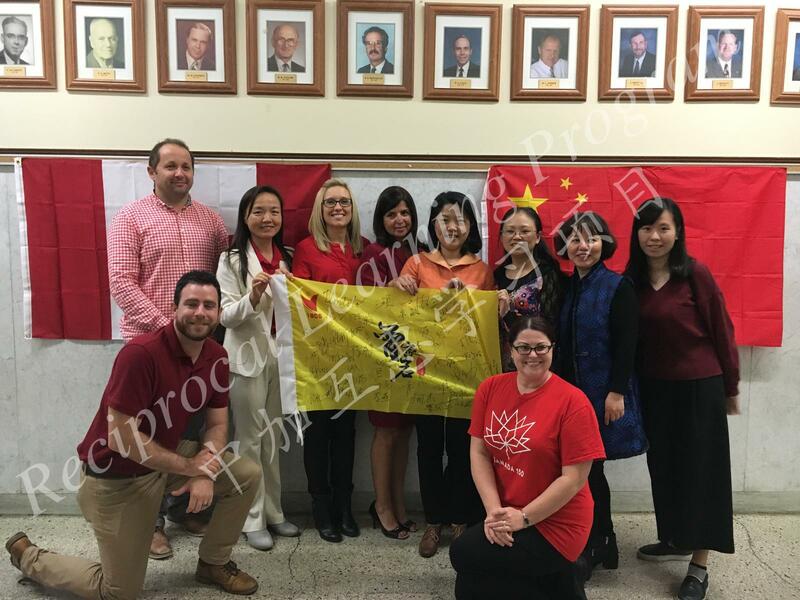 They were invited to attend Prince Edward Public School’s special assembly which was prepared to welcome friends from China. 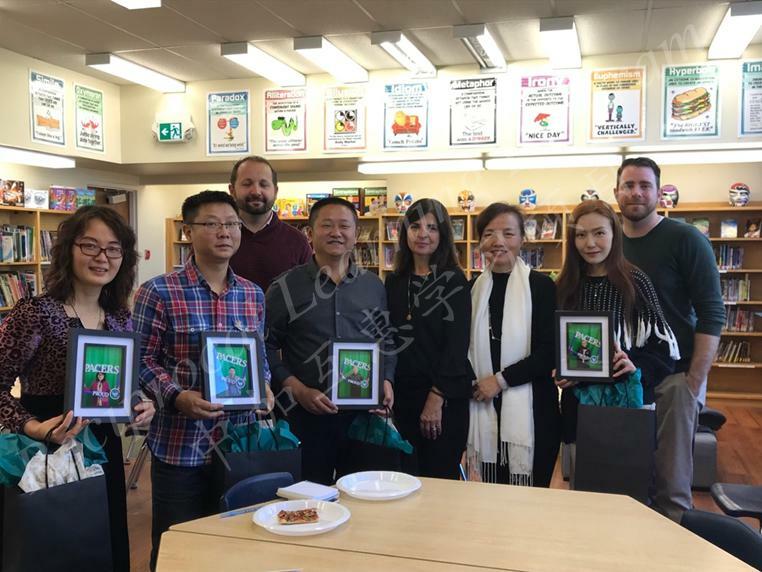 From October 23 to 25, 2018, Prince Edward Public School’s principal, Mrs. Teresa Iandolo, hosted a group of delegation from their Sister School — Zeng Jia Yan Primary School (ZJY). 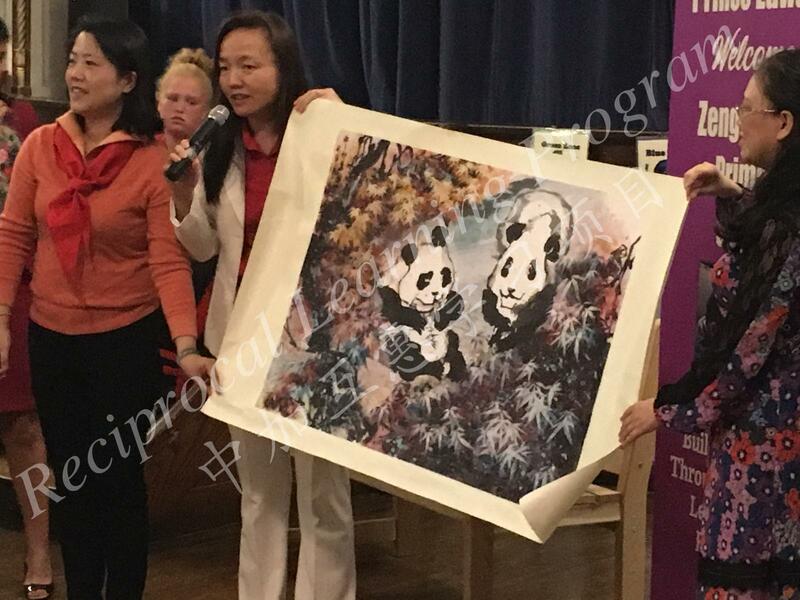 The Chinese delegation included Mr. Xiao (Vice Principal), Mr Li (Math Teacher), Ms Yang (Art teacher), and Ms. Zou (Art teacher). 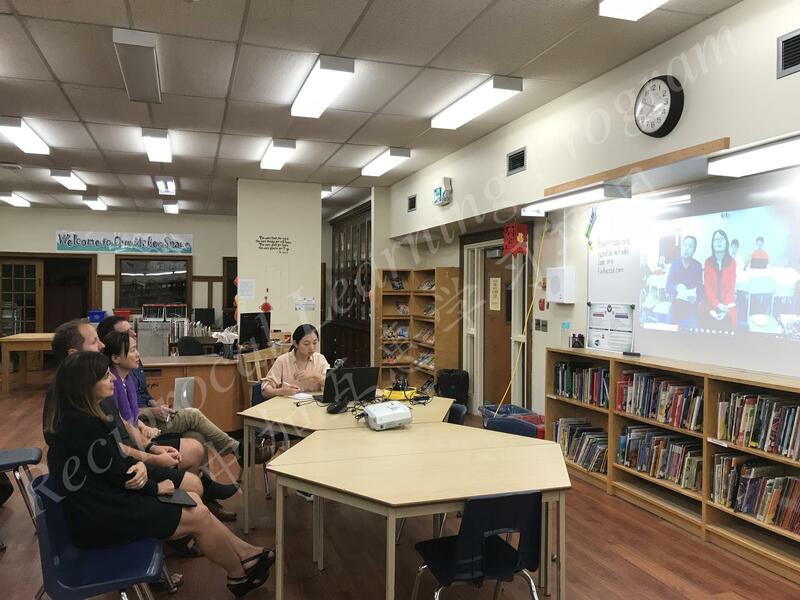 During their visit, the Chinese delegation had an opportunity to observe lessons conducted by PEPS’s teachers and participated in a Skype meeting held between Zeng Jia Yan Primary School and Prince Edward Public School. 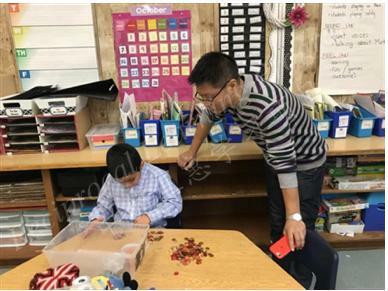 In addition, Mr. Li co-planned and co-taught a math lesson with his Sister School colleagues — Mr. Szamburski and Mr. Windibank (PEPS Grade 6 teachers). 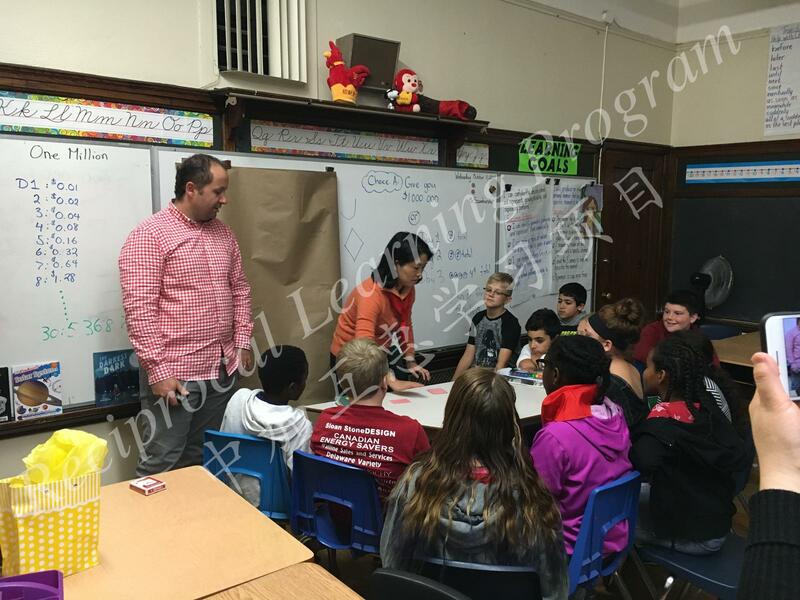 Ms. Yang with Ms. Zou also offered a Chinese painting class to Mr. Szamburski and Mr. Windibank’s students. 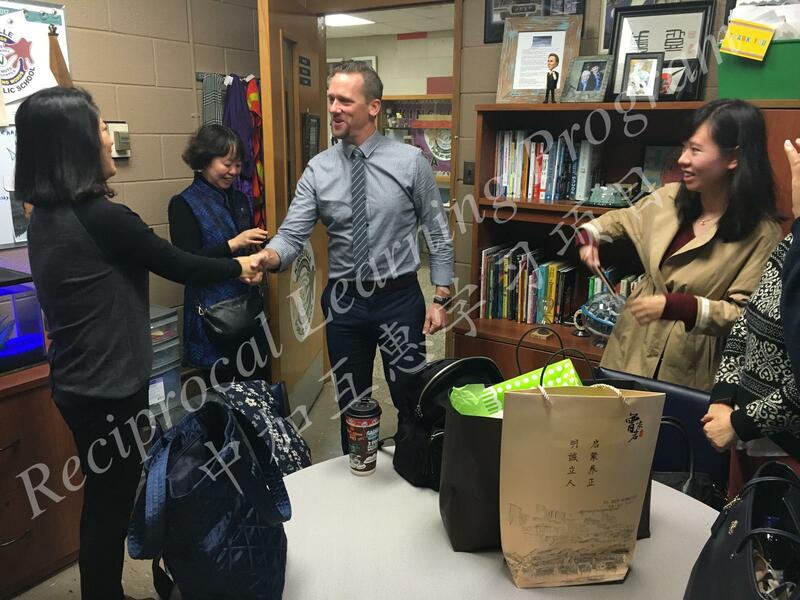 Both Principal Iandolo and VP Xiao talked about how the visit had greatly strengthened the friendship and learning between the two schools. It had also improved Sister School teachers’ communication with each other. 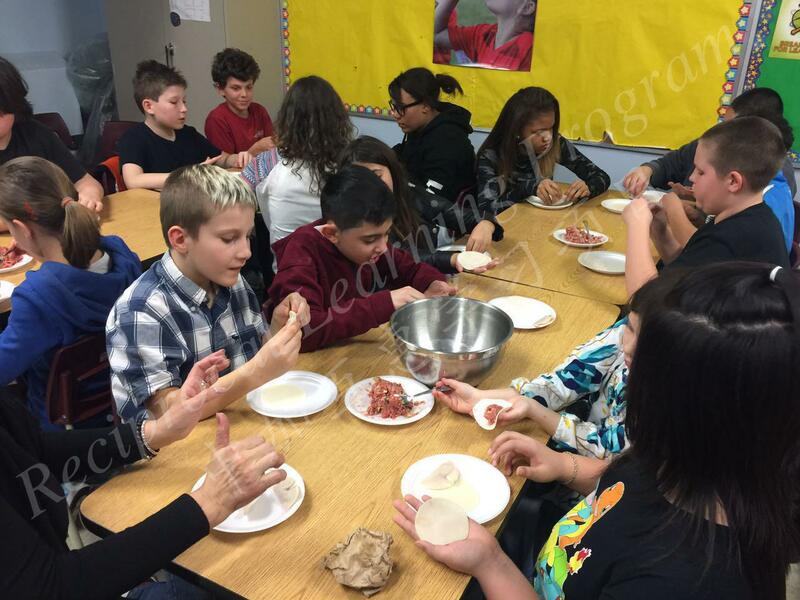 ZJY delegation’s visit to PEPS was followed by a tour to different GECDSB schools. 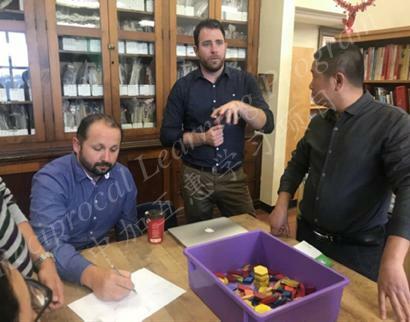 Thanks to Mr. Chris Mill (Principal of Special Education at GECDSB), Principal Mike Baker (TTPS), Vice-Principal Christina Pottie (TTPS), Principal Andrea Fischer (GCFIPS), and Vice-Principal Mel Brown (GCFIPS), the ZJY teachers were able to gain a deeper understandings about how school works in Ontario. 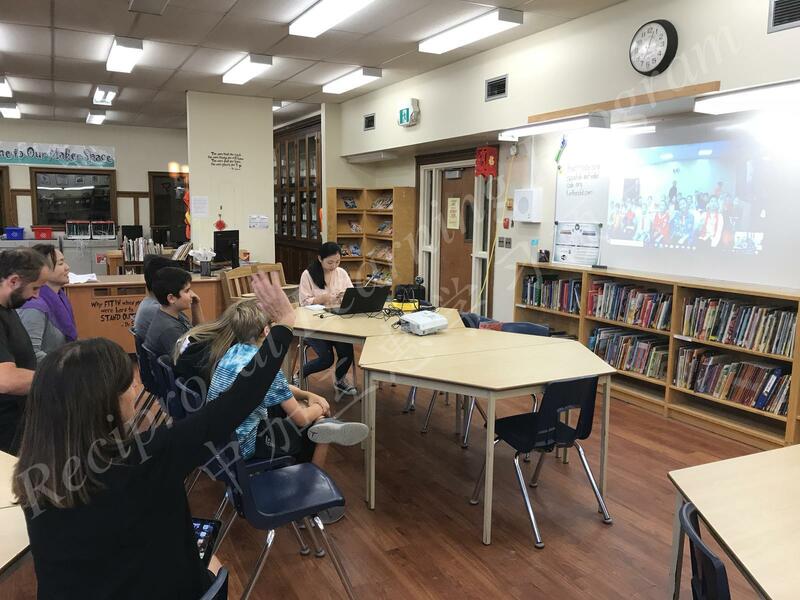 SSHRC Project Sister- School Skype meetings between Prince Edward Public School Windsor, Canada and Zeng Jia Yan Primary School continue to thrive. 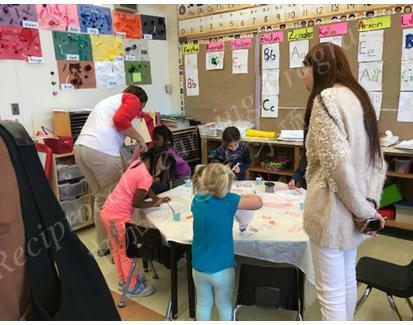 Students, teachers, faculty, and administration are able to communicate and share. 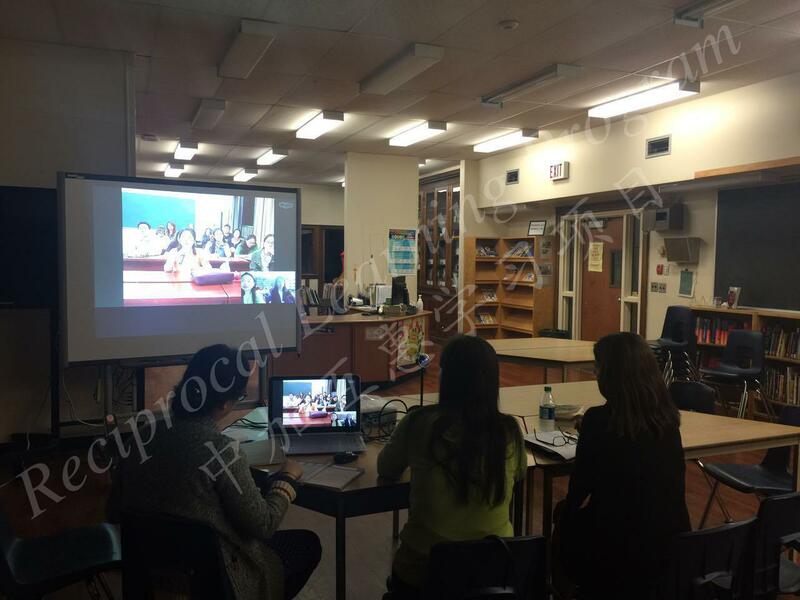 Meeting members include: Prince Edward Public School Ms. Teresa Iandolo, Dr. Shijing Xu SSHRC Project Director, Dr. Zuochen Chang & Dr. George Zhou from the University of Windsor, Prince Edward teacher Ms. Rose Lesperance, Prince Edward teacher Ms. Julia Szamburski, and students from both Canada & China. 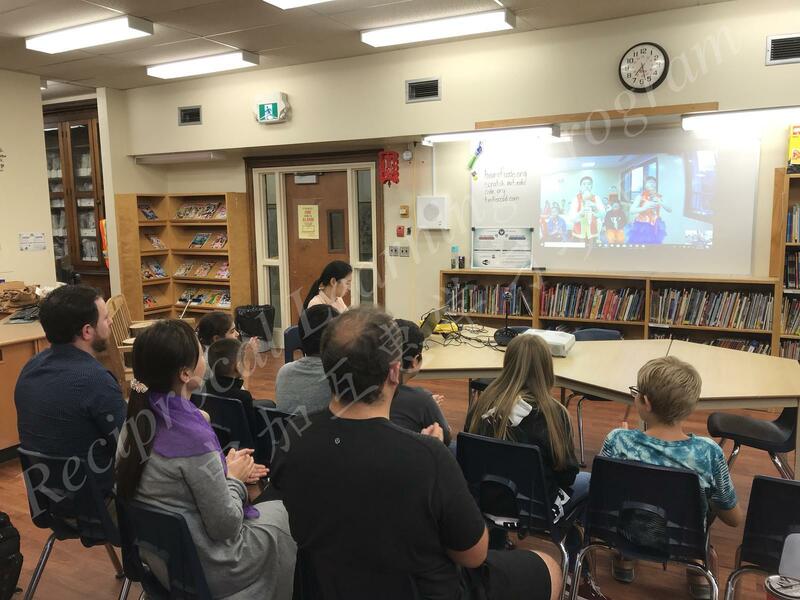 SSHRC Sister- School Skype meeting between Prince Edward Public School Windsor, Canada and Zeng Jia Yan Primary School Chongqing, China. 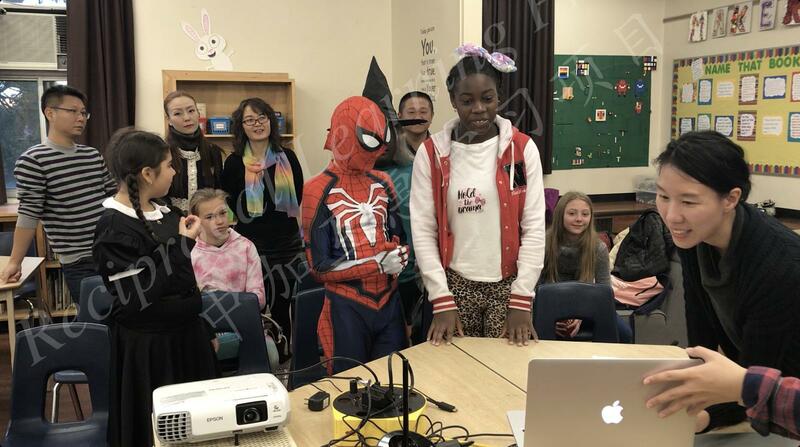 School students from both Canada and China are able to communicate over Skype and display their school work and creative art. 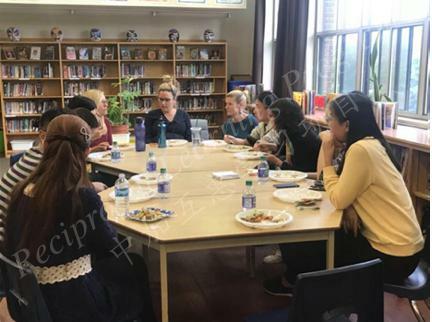 Meeting members include; Principal of Prince Edward Public School Ms. Teresa Iandolo, Dr. Shijing Xu SSHRC Project Director, research assistants, and school students. 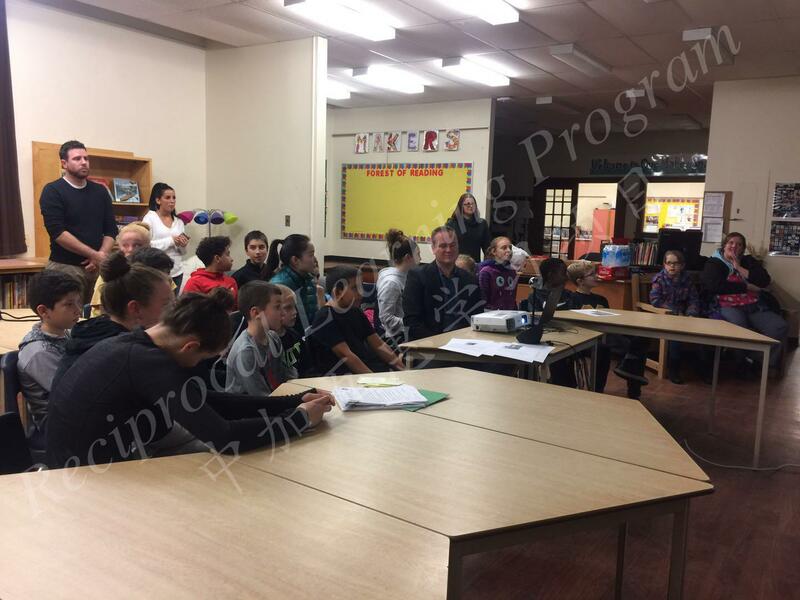 Introductory SSHRC Sister- School Skype meeting between Prince Edward School Windsor, Canada and Zeng Jia Yan Primary School Chongqing, China. 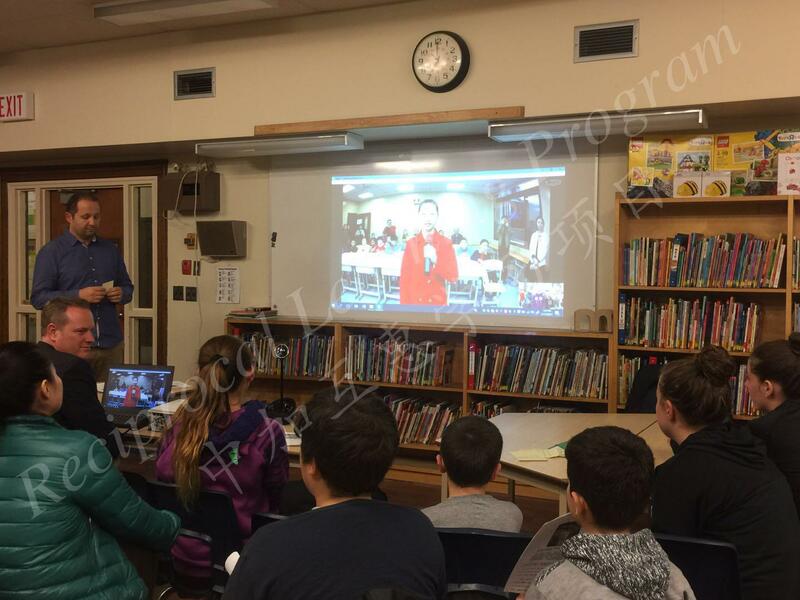 Prince Edward students have opportunity to communicate over Skype to China and begin to develop letters. 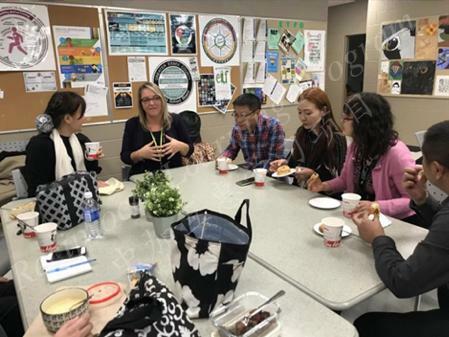 Meeting members include: Principal of Prince Edward Public School Ms. Teresa Iandolo, Dr. Shijing Xu SSHRC Project Director, Ms. Ju Huang PhD student from Southwest University, research assistant Mr. Nevin MacLeod, and Prince Edward students. 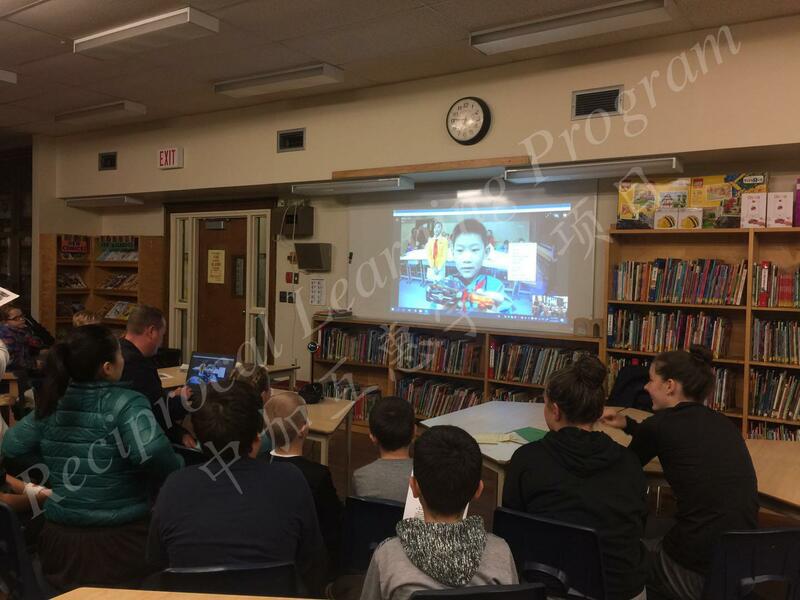 On October 20, 2016, with the help of Dr. Shijing Xu (SSHRC Project Director) and her research team, Prince Edward Public School and Zeng Jia Yan Primary School held a Skype meeting focusing on the topic of school-based teaching materials. 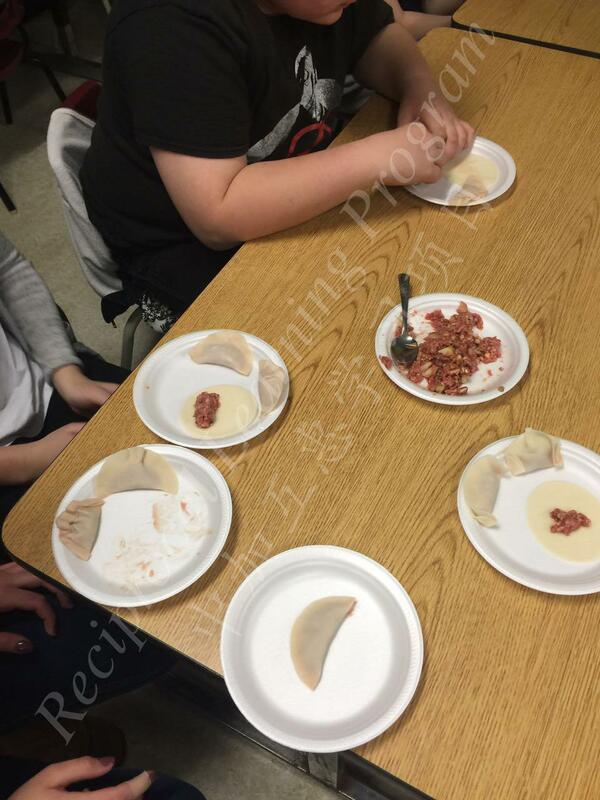 Through discussion, the idea of cross-cultural reading kit was generated. 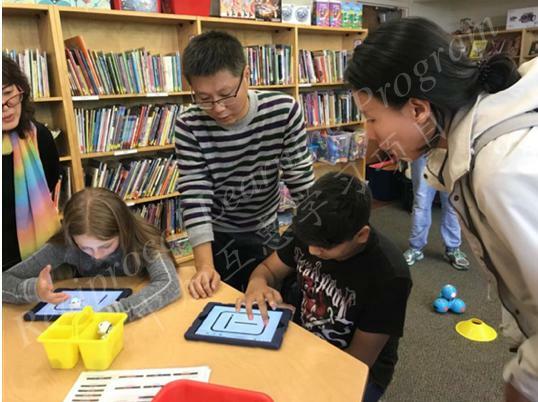 Principal Iandolo and Principal Deng agreed to work on developing the reading kid idea in future meetings. 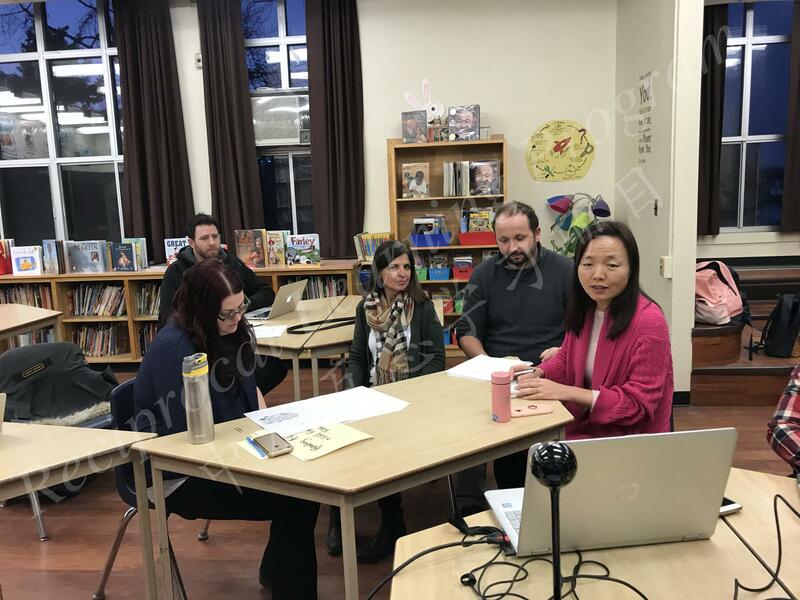 Meeting members include: Principal of Prince Edward Public School Ms. Teresa Iandolo, vice-principal Mr. Joe Oldridge and teachers; Zeng Jia Yan Principal Ms. Hongjie Deng and teachers; Dr. Shijing Xu (SSHRC Project Director) and research assistants. 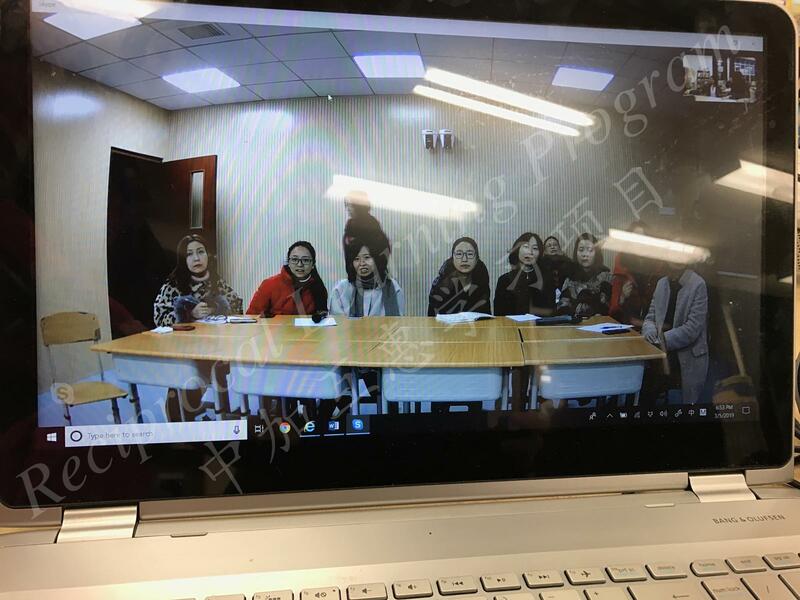 The December Skype meeting were attended by principals and teachers from Prince Edward Public School (PEPS) and Zeng Jia Yan Primary School who were interested in the idea of cross-cultural reading kit idea proposed in the previous Skype meeting. Together, the sister school principals and teachers generated an outline for the reading kit. 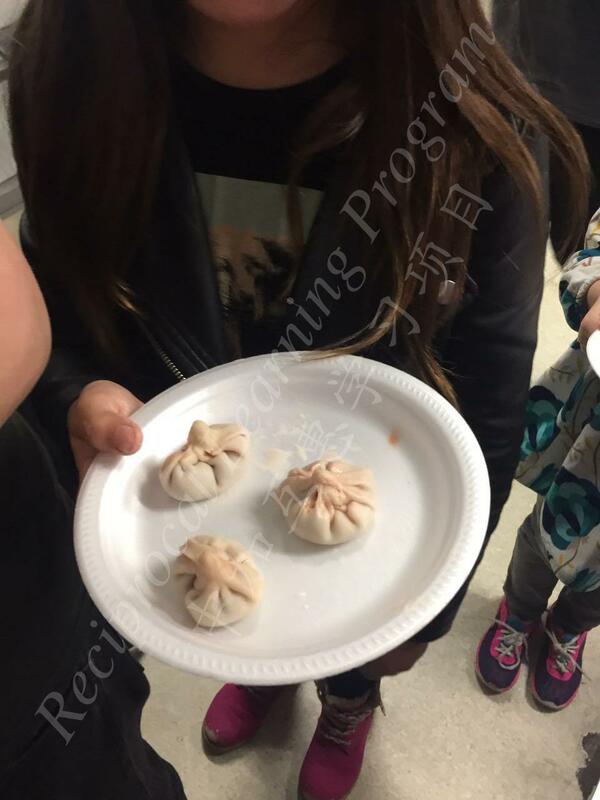 In addition, student from PEPS also had a chance to introduce the Christmas festival to their Chinese friends. 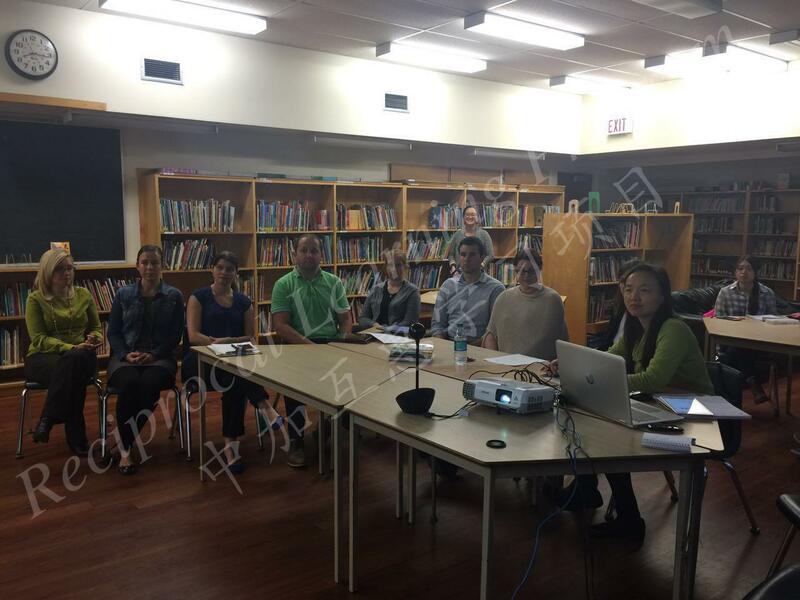 Meeting members include: Principal of Prince Edward Public School Ms. Teresa Iandolo, vice-principal Mr. Joe Oldridge and teachers; Zeng Jia Yan Principal Ms. Hongjie Deng and teachers; Dr. Shijing Xu (SSHRC Project Director), research assistants, and school students. 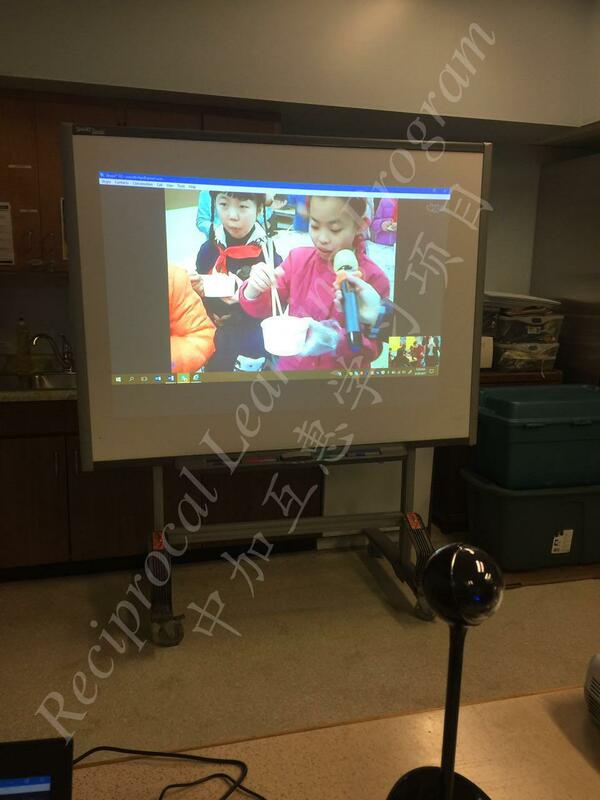 On February 28, 2017, teachers and students from Zeng Jia Yan Primary School taught principals, teachers and students at Prince Edward Public School (PEPS) how to make dumplings via Skype. 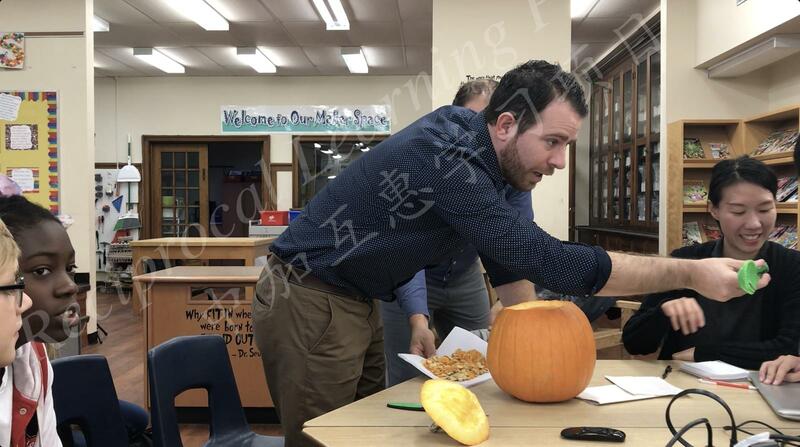 Principals and teachers from the Sister School also further discussed the outline of the cross-cultural reading kit. 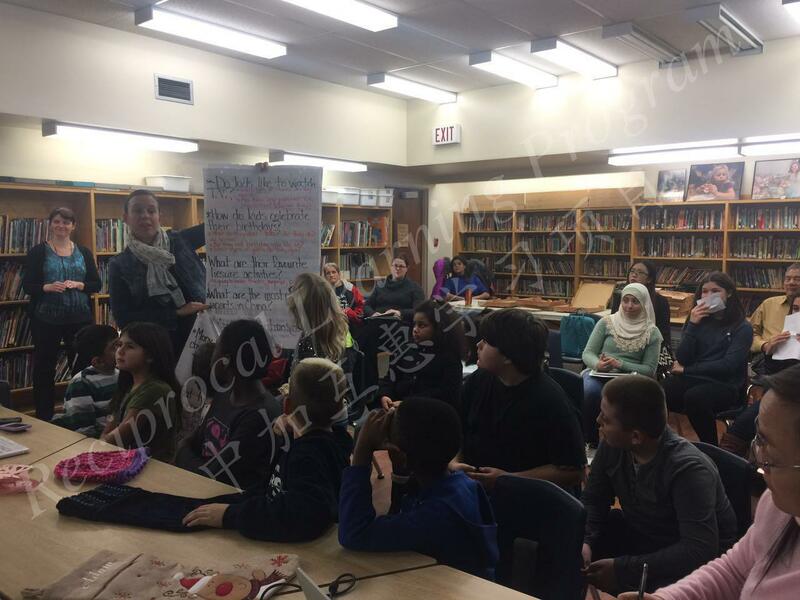 Attendees include: Prince Edward Public School Principal Ms. Teresa Iandolo, Vice-Principal Mr. Joe Oldridge, teachers and students; Zeng Jia Yan Primary School Principal Ms. Hongjie Deng, school teachers and students; SSHRC Project Director Dr. Shijing Xu and her research team. 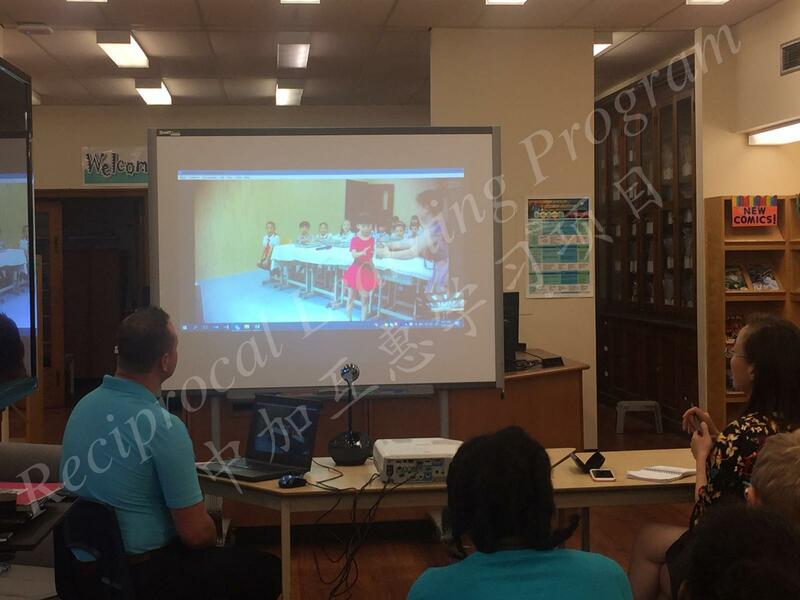 On September 19, 2017, Prince Edward Public School (PEPS) and Zeng Jia Yan Primary School held a Skype Meeting for students to share with each other how they spent their summer vacation. 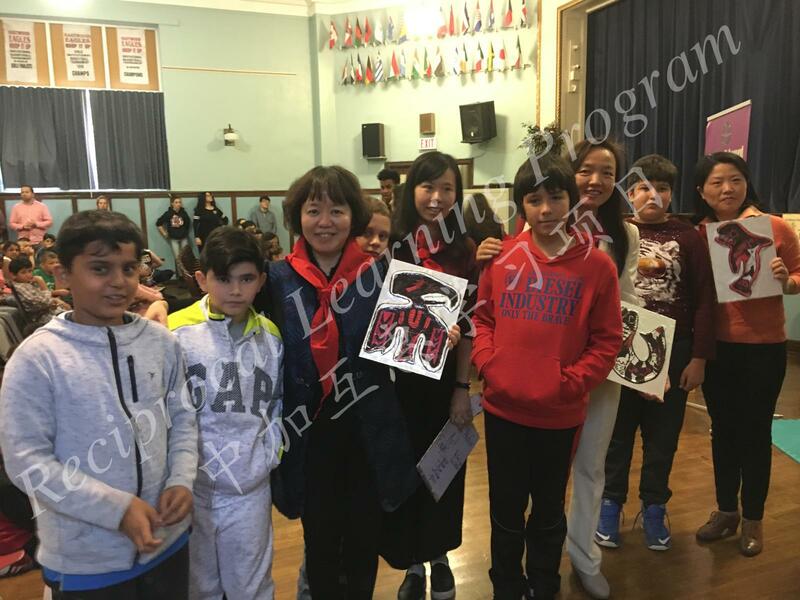 Students from Zeng Jia Yan Primary School talked about their trip to the Hainan Island and Japan. 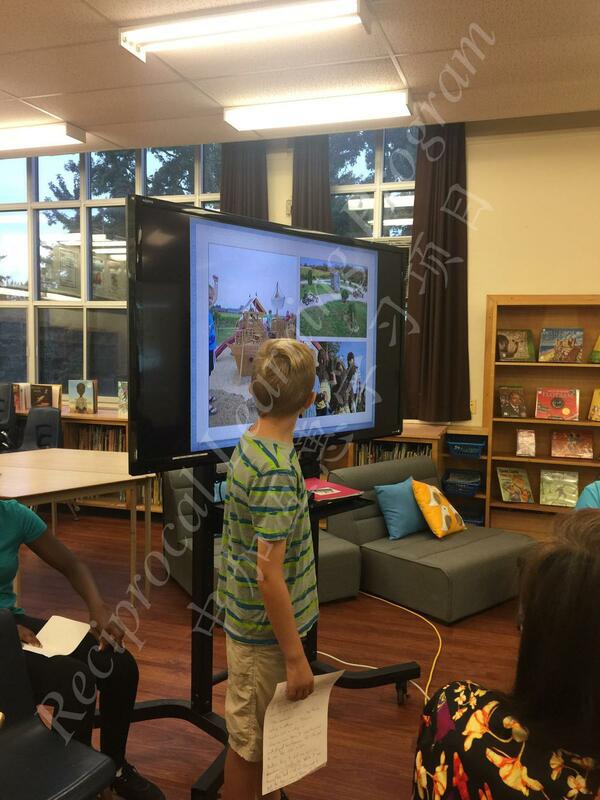 Students from PEPS introduced told stories of visiting Michigan and Ottawa. 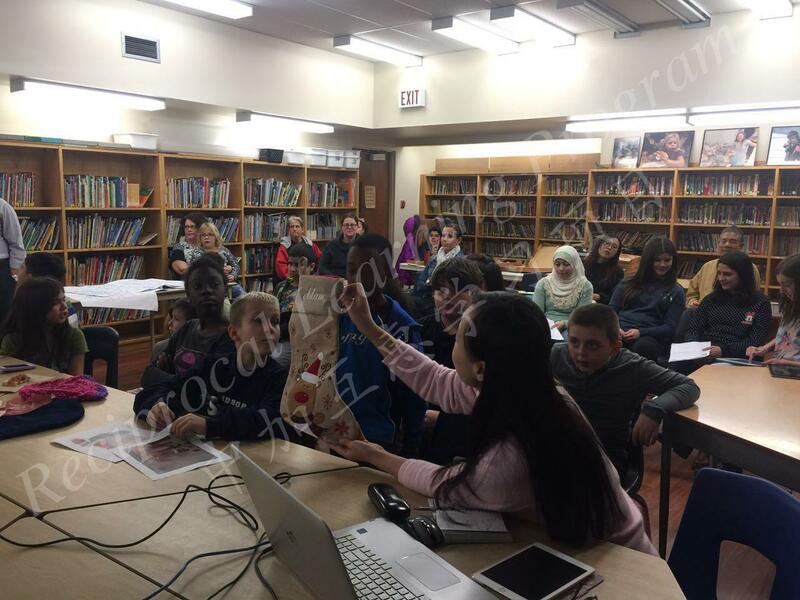 A Chinese student also played the Chinese traditional instrument guzheng for her Canadian friends. 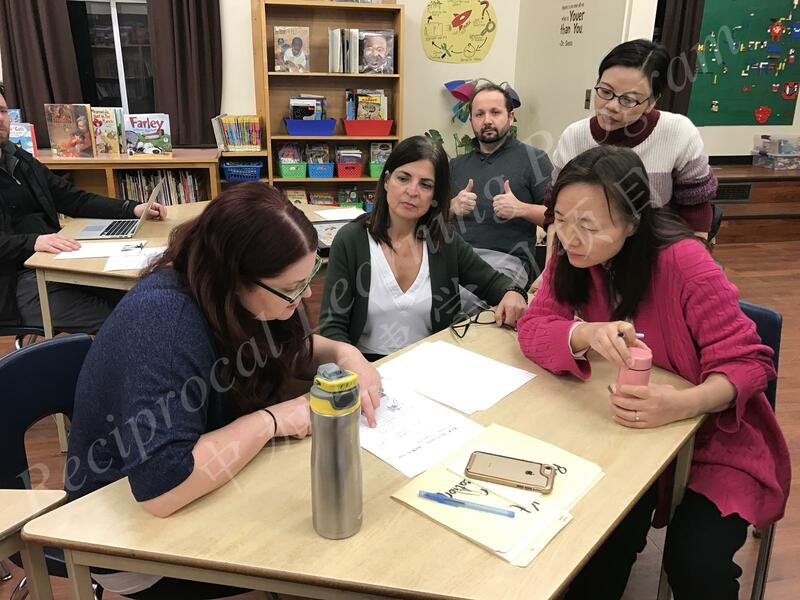 Attendees include: Prince Edward Public School Principal Ms. Teresa Iandolo, Vice-principal Mr. Joe Oldridge, school teachers and students; Zeng Jia Yan Primary School Director Yu, school teachers and students, SSHRC Project Director Dr. Shijing Xu and her research assistants. 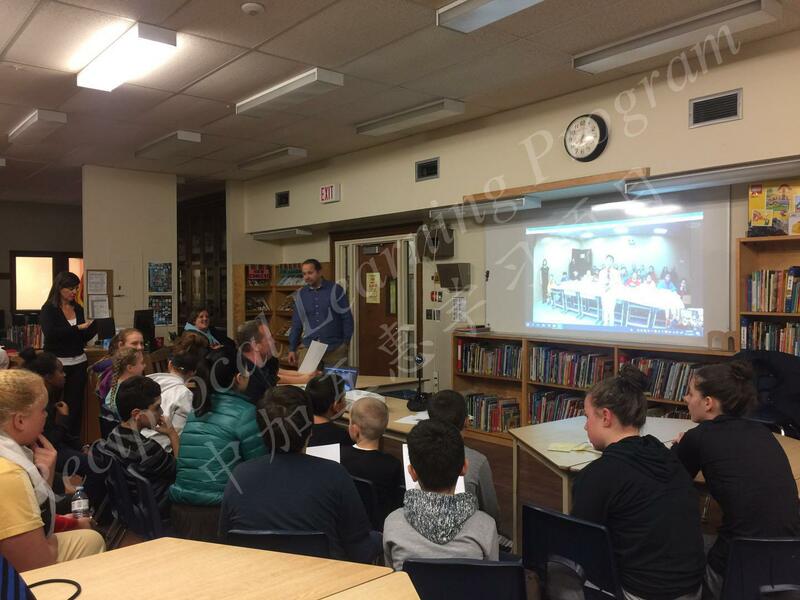 On Nov. 15, 2017, Prince Edward Public School (PEPS) and Zeng Jia Yan Primary School had a Skype Meeting to pair up their students for one-on-one communication purposes. 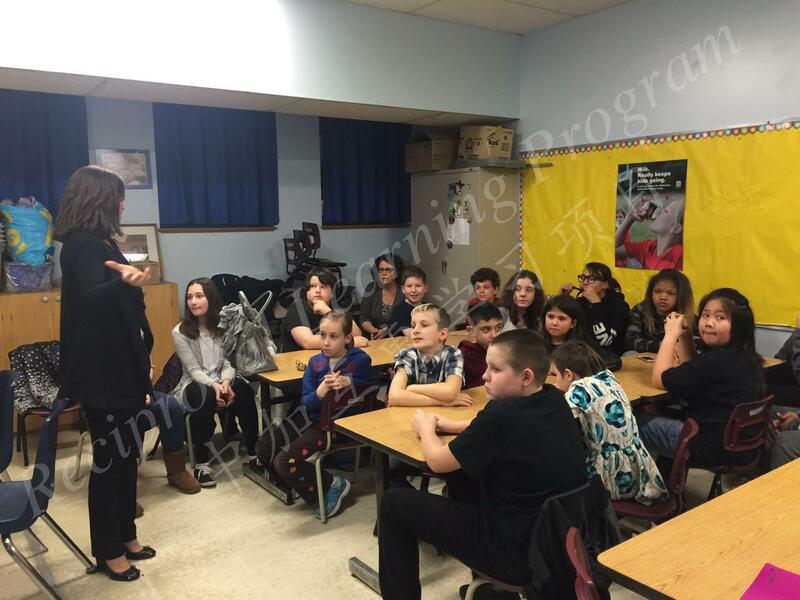 Students from both schools took turn introducing their name, age and hobbies to each other. 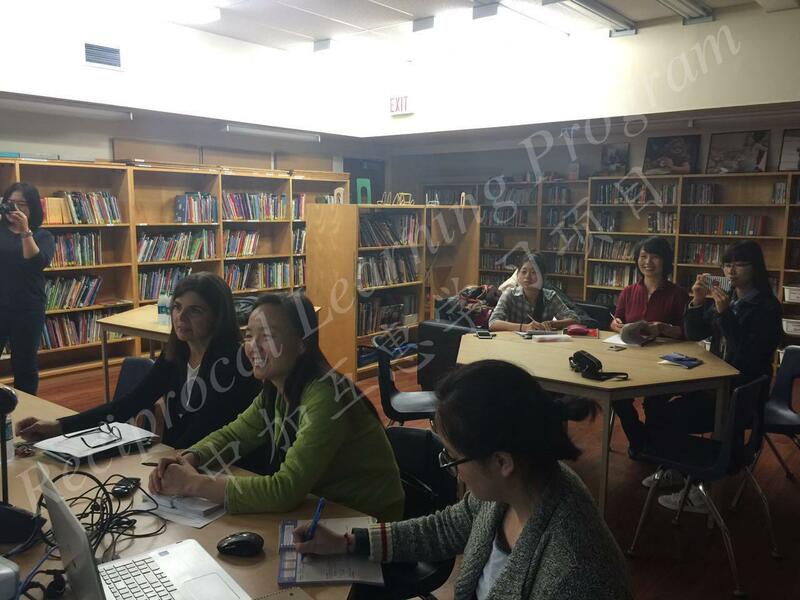 Attendees include: Prince Edward Public School Principal Ms. Teresa Iandolo, Vice-principal Mr. Joe Oldridge, school teachers, students and parents; Zeng Jia Yan Primary School Principal Ms. Hongjie Deng, school teachers, students and parents, SSHRC Project Director Dr. Shijing Xu and her research assistants. 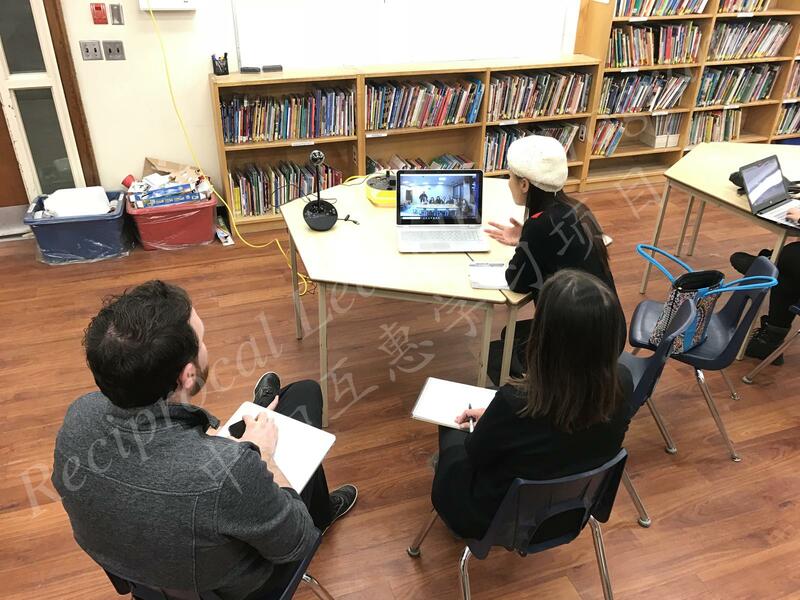 At the Skype meeting on April 17, 2018, Asim from Prince Edward Public School introduced his family stories and hobbies to Chenlin Liao, his buddy, and other students at Zeng Jia Yan Primary School. 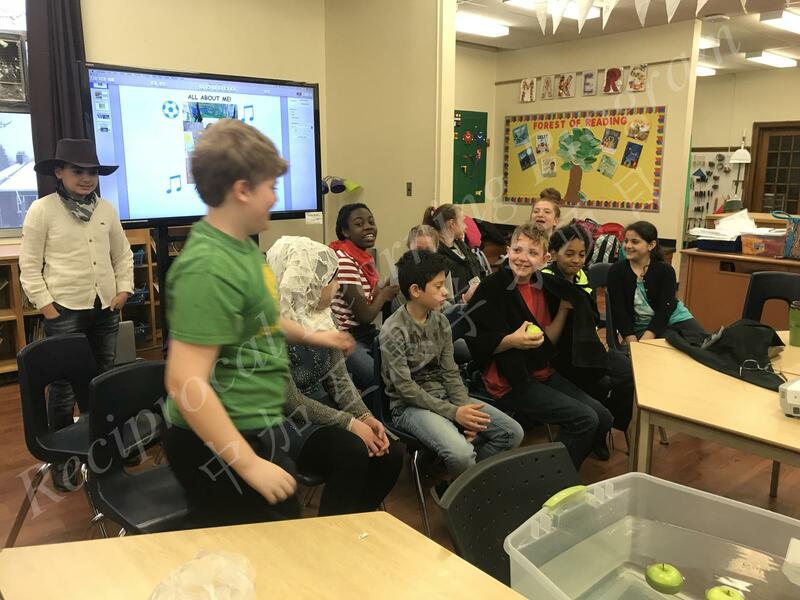 Mr. Szamburski and Mr. Windibank also presented two games - Four Corners and Bobbing for Apples - for students from Prince Edward and Zeng Jia Yan to play together. It was a lot of fun. 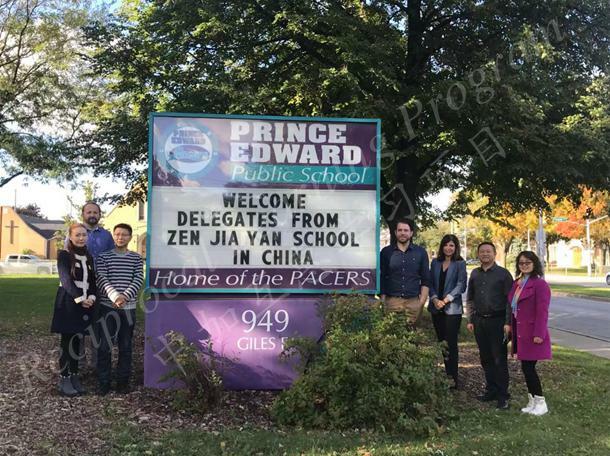 Attendees include: Prince Edward Public School Principal Ms. Teresa Iandolo, Vice-principal Mr. Joe Oldridge, school teachers, students and parents; Zeng Jia Yan Primary School Director Ms. Chaoyong Yu, school teachers, students and parents, SSHRC Project Director Dr. Shijing Xu, research assistants and SWU 2018 Cohort Spring exchange students. 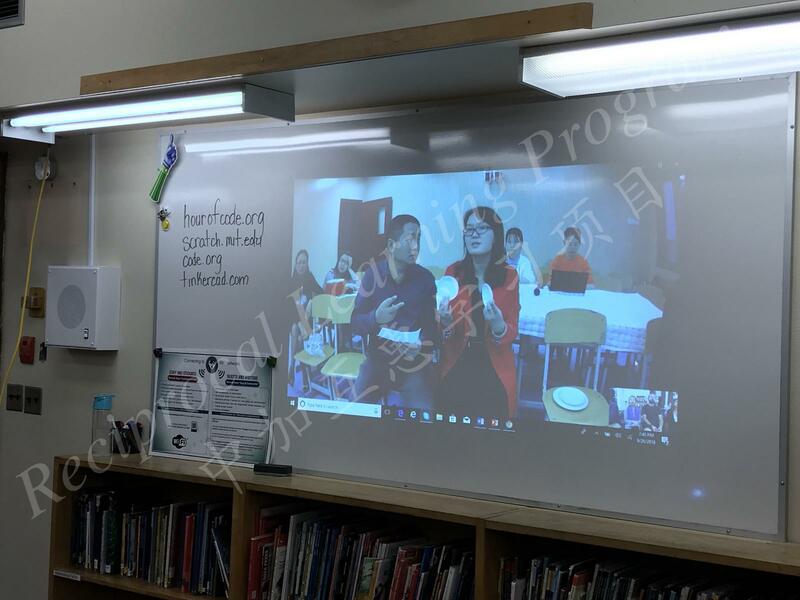 On September 26, 2018, Prince Edward Public School (PEPS) and Zeng Jia Yan (ZJY) Primary School had a Skype Meeting to kick start the new school semester.. Students at Zeng Jia Yan Primary School told their Canadian friends about Chinese Mid-Autumn festival and how Chinese people celebrate this festival. 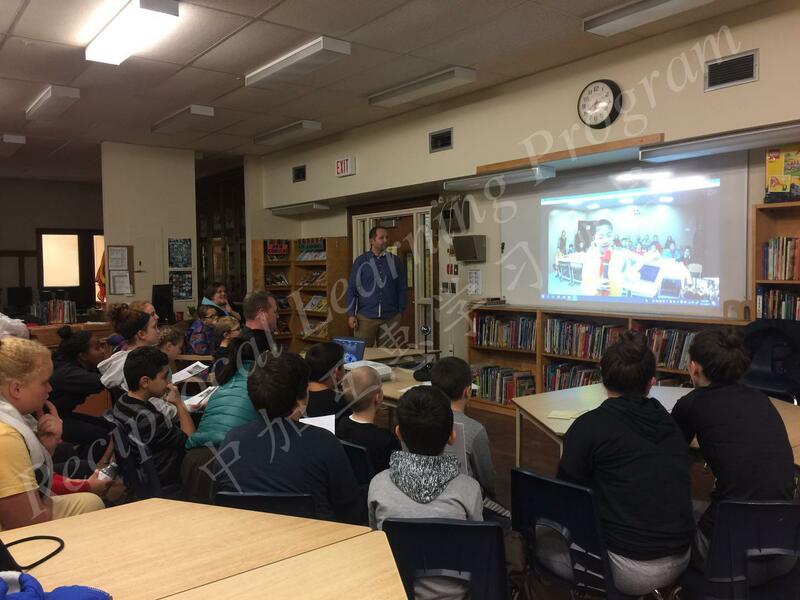 They also prepared a few shows such as singing, poem recitation, traditional instrumental performance for their Canadian friends to enjoy. 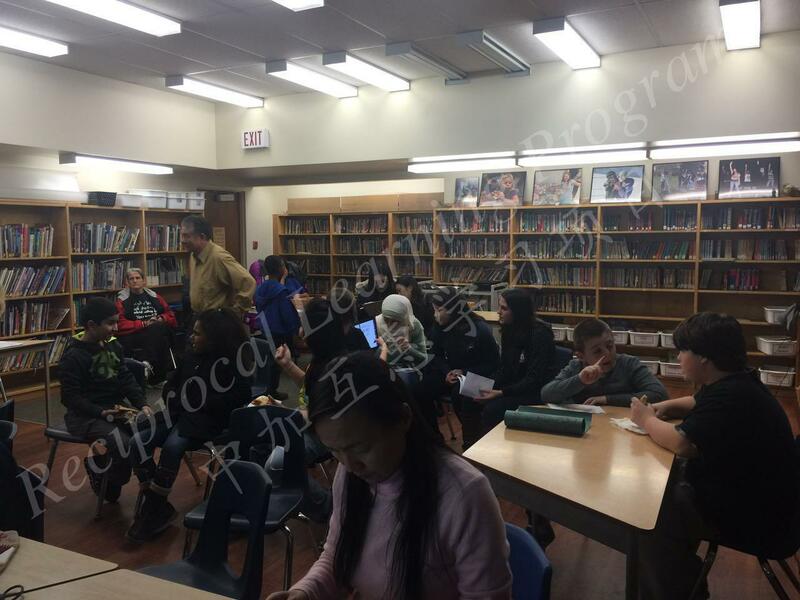 Attendees include: Prince Edward Public School Principal Ms. Teresa Iandolo, Mr. Szamburski, Mr. Windibank and students; Zeng Jia Yan Primary School Vice-Principal Mr. Hongliang Xiao, school teachers and students; SSHRC Project Director Dr. Shijing Xu, research assistants and SWU 2018 Cohort Spring guide teacher Ms. Wu. 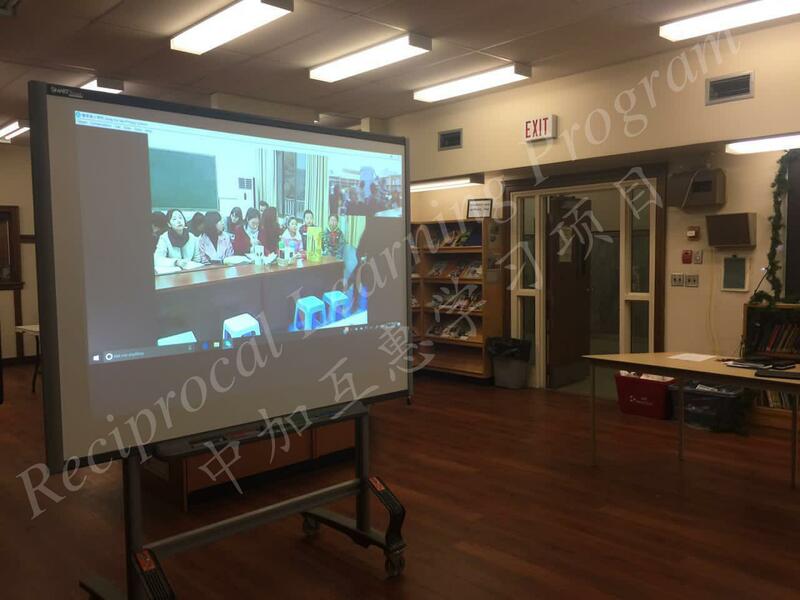 At October,23, the monthly Skype meeting between PEPS and ZJY on the early morning became very special not only because the Canadian children talked about Halloween in Canada, but also because the Chinese delegates — Vice Principal Mr. Xiao and three Chongqing sister school teachers from ZJY — were able to participate in the meeting in Windsor together with Canadian teachers and children that they had met only on the screen in the past! 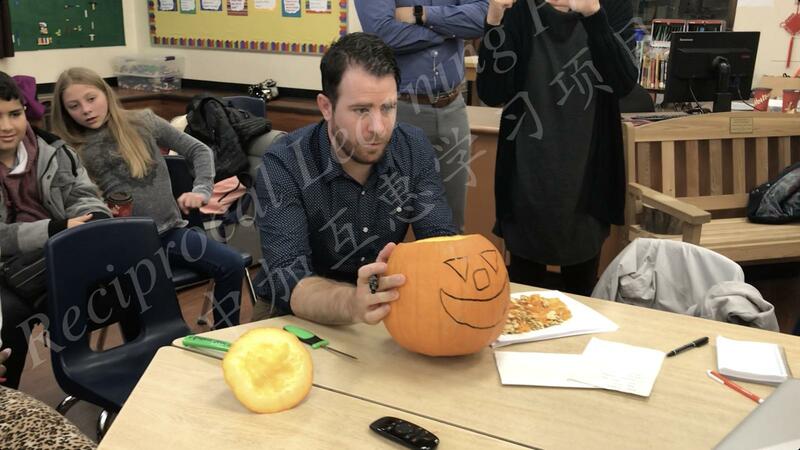 Mr. Windibank showed Chinese students through the Skype connection how to carve a pumpkin and make pumpkin lanterns. 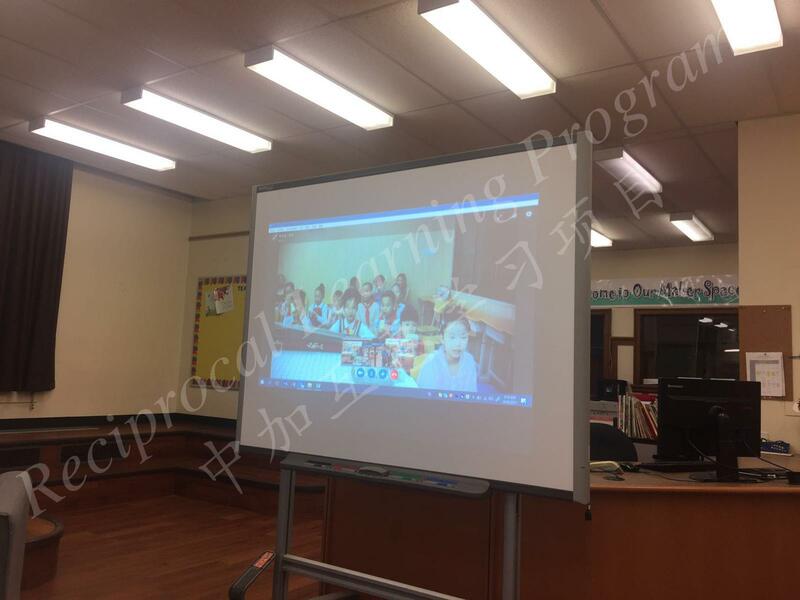 Mr. Xiao and three other teachers from ZJY were all excited to participate in the Skype meeting. 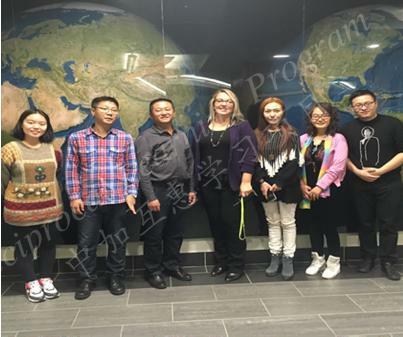 They happily said hello from Canada to their students and colleagues in Chongqing China! 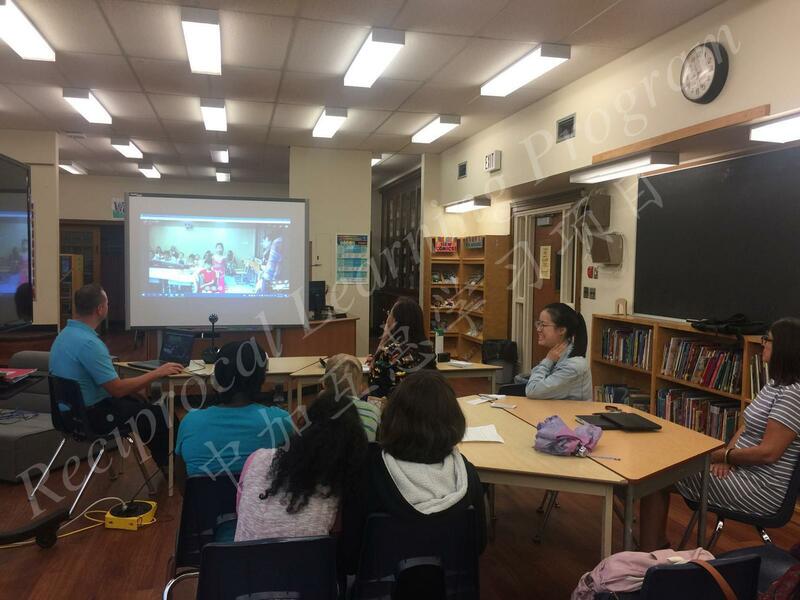 SSHRC Project Sister- School Skype meeting between Prince Edward Public School and ZengJiaYan primary school. Teachers are able to share their feedbacks from sister school reading kits and next goals of reading kits. 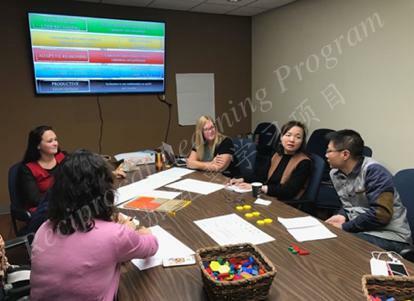 Meeting members include: Prince Edward Principal Ms. Teresa Iandolo & Mr. Windibank and Dr. Shijing Xu SSHRC Project Director, Dr. Yishin Khoo& Chunlei Liu (Project RA) from the University of Windsor. 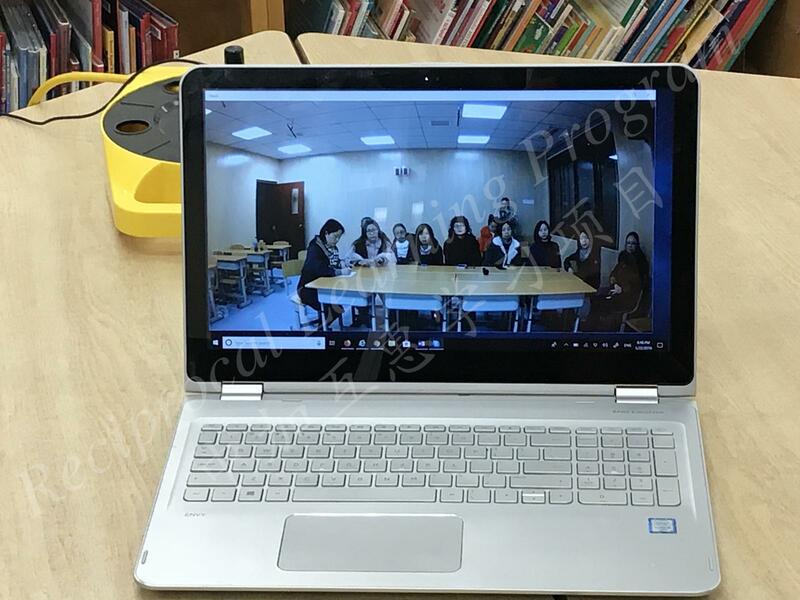 At this Sister- School Skype meeting between Prince Edward Public School and Zeng Jia Yan primary school, principals and teachers discussed the issues of the joint reading kit ‘s translation and format. 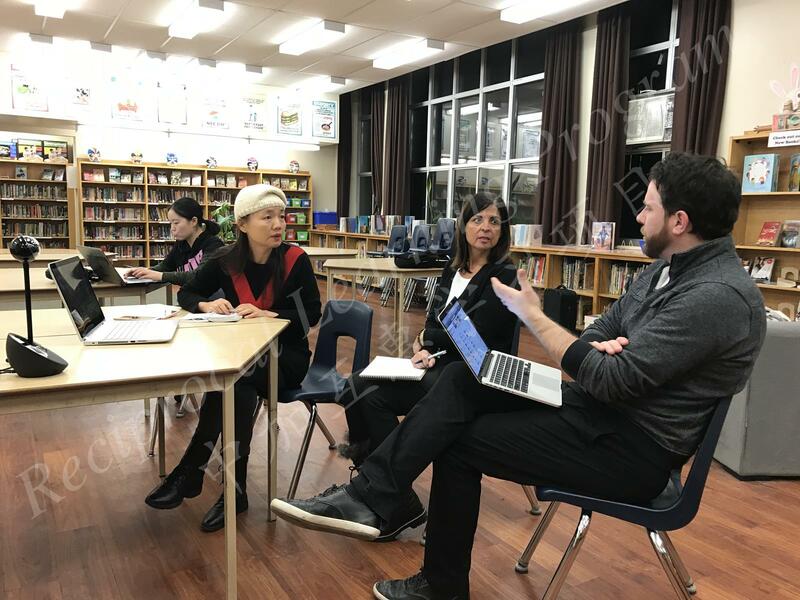 Meeting members include: Principal Ms. Teresa Iandolo, Mr. Szamburski, Mr. Windibank and Mrs. Freedman from Prince Edward Public School; Dr. Shijing Xu (SSHRC Project Director), Dr. Li (visiting scholar), Chunlei Liu and Xinyu Zhang (Project RA) from the University of Windsor. 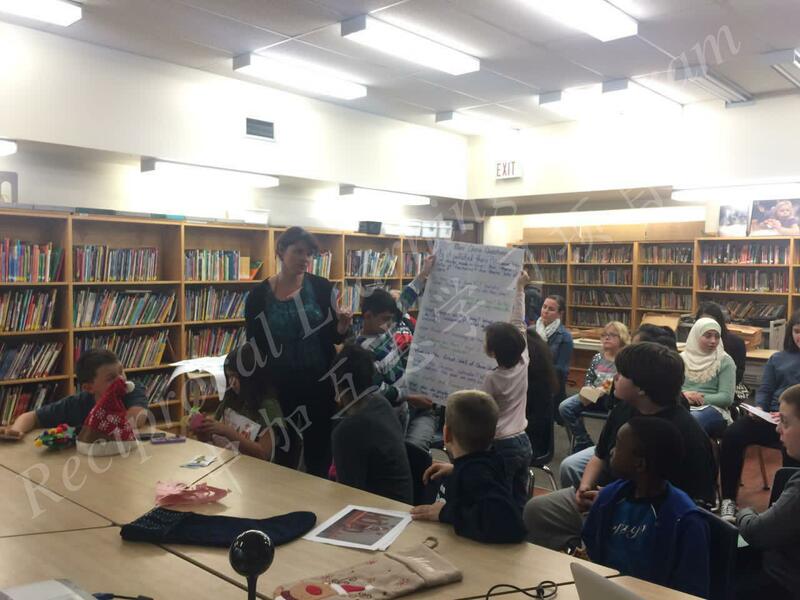 2015 Chinese teacher candidate cohort from Southwest University China conduct a mini Chinese lesson to the students of Prince Edward Public School Windsor, Canada. 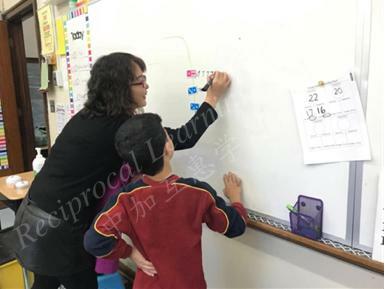 Topics focus on basic Chinese characters and calligraphy.